EasyInsure is proud to offer specialized insurance options for those unique car owners who participate in the sharing economy by listing and renting their cars with Turo. Get a quote today and find out just how affordable it can be. Do you already have an account with us? Start your quote now and see how much you can save! You've taken the initiative to earn extra income in today's sharing environment. 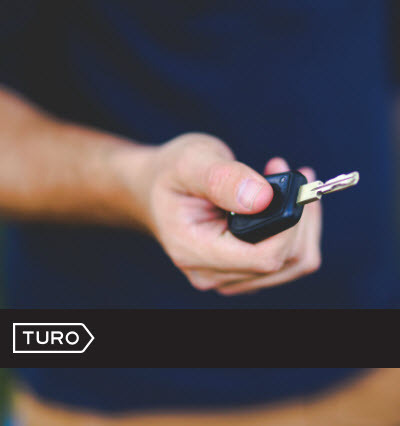 Turo's unique peer-to-peer car rental, or car sharing, marketplace is a simple and easy to use process. So why does obtaining insurance need to be so complicated? With EasyInsure we are excited to bring you "Insurance Made Easy". Get the proper coverage you need, with the service you deserve, and get it all fast & EASY! We do the shopping for you! All your insurance policies in one place. DID YOU KNOW THAT YOU MAY BE AT RISK? As someone who rents their vehicle, you have unique insurance needs that other car owners may not have. If you aren't insured properly, you may be exposed to additional, unnecessary liability. EasyInsure can help you eliminate that risk with a custom policy, set up to properly protect you and allow you to use Turo with confidence. Prefer to speak to a broker? CALL US NOW at 1.800.679.2640 and speak to one of our experienced Turo car insurance specialists. NOTE: You must purchase a policy with Intact Insurance or Jevco Insurance Company to qualify for the Turo insurance coverage. Other restrictions may apply. For more details, please contact EasyInsure at 1.800.679.2640.